Water law today is primarily a product of statutes enacted by legislatures and regulations issued by implementing administrators, although reviewing courts remain important in the system. Modern law is being increasingly accommodated to ecosystem values—rather than solely to human demand—in establishing a "law of reason" for all water. This makes sense because water is part of a single hydrologic cycle. Precipitation in a humid zone contributes to streams, lakes, and wetlands , or seeps into the ground to reappear in wells and springs, ultimately to reach the ocean and again return (except for a very small amount) to precipitation. 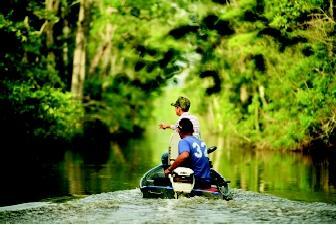 * Along the way, water provides a necessary resource for human use, as well as ecosystems dependent on water. The humid zones of eastern North America had little water law before the 1820s. The rule that developed is called the riparian doctrine and is part of the common law of the property tradition. The riparian doctrine in the United States exists as a legal structure for the human use of stream water in the "humid states": specifically, the states east of the first tier of states west of the Mississippi River. The original definition of "riparian" derives from its Latin origin, ripa , meaning "bank of a stream." But in law, the term "riparian" may refer to land different than what geographically extends away from the stream. Legal definitions may be as inclusive as all the land under the continuous title of the same landowner whose ownership begins beside the stream. Public water rights serve to limit the rights of riparian landowners whose lands border navigable waters. The concept of the public trust allows states to protect the increasing value society places on water-related recreational activities, such as boating and fishing. Water law continuously balances private property rights to scarce resources with public-interest limitations on private use. the riparian structure differs from the "natural flow" traditions of the common law. Common law is made by judges, and is built through published decisions, although legislatures can add statutes. Historically, courts acted within common knowledge of the physical world. Thus, the courts considered a stream to be a recurring flow of water that created a bed for the water's flow and banks to confine the flow. The dry land on both sides is riparian to that stream and geographically extends to the rim of land draining into the stream. The courts called the traditional rule the "natural flow doctrine." Under this doctrine in its purest form, the courts asserted the riparian landowner (the owner of riverside land) was entitled to receive and return water to a stream as it came naturally to their land: that is, the landowner could use the stream without changes to its flow, volume, temperature, and quality. But as water demands increased in agriculture and industry, the courts modified the rule: some say courts adopted a new rule. In any case, the courts expanded the reasonable use idea so that maintaining the purely natural condition of the stream was no longer required. It should be remembered that under common law, the riparian landowner's interests in the river's water was protected. Yet the common law did not provide much protection to streams as public resources. Other legal rules provided that flowing water belonged to the public and that states could not transfer certain public waters to private parties in violation of public trust . Although these rules put few limits on riparian rights concerning streams, some other legal rules restricted what a riparian landowner could do with a stream. The riparian controlled access to the stream, but could not admit an unlimited number of users nor let an unlimited amount of water be transferred elsewhere. Doing either would be considered "unreasonable" at the least. 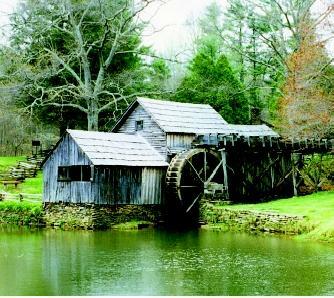 Mills and waterwheels were commonly found along streams early in U.S. history. As energy demands increased and mills grew in size, dams were built upstream to store water that could be released to create stronger currents. This practice slowed the water for others, and many states enacted dam mill acts, which allowed such storage dams as long as they did not hurt the existing smaller mills, which were viewed as having a prior right. and thus give a local monopoly to the owner. This privilege—exceptional in riparian states—was to mold an entirely different body of law, called the prior appropriation doctrine, which better suited the arid western states. Legal doctrines change over the course of time. In modern water law, legislatures are playing a more active role, in humid as well as arid states, because water supply cannot keep pace with human demand. Permits are increasingly required. Riparian landowners still have their powers and rights, but they are not what they were even a few decades ago. Reasonable use today in law emphasizes the full and beneficial employment of the stream for economic and other advantages that will insure the stream's living character. SEE ALSO Law, Water ; Prior Appropriation ; Rights, Public Water. Getches, David H. Water Law in a Nutshell, 3rd ed. St. Paul, MN: West InformationPublishing Group, 1997. Tarlock, A. Daniel. Law of Water Rights and Resources (Environmental Law Series). NewYork: Clark Boardman Callaghan, 1988 (with annual supplements 1989–2002). * See "Hydrologic Cycle" for an illustration of the water cycle.